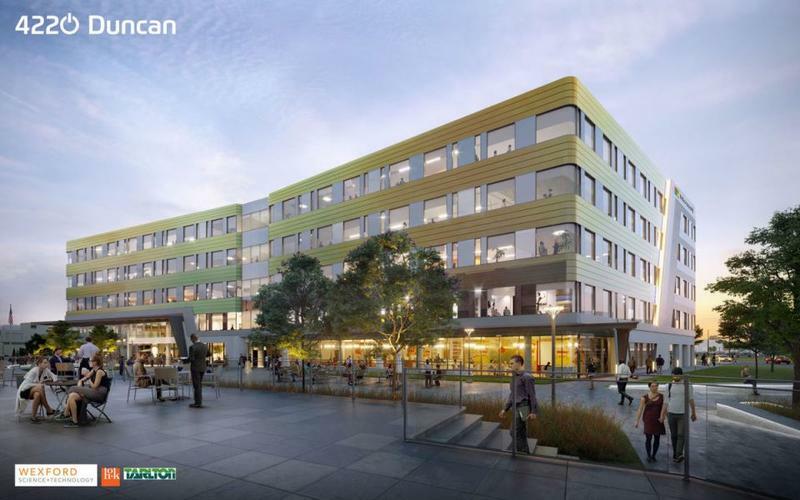 Rendering of the building at 4220 Duncan Ave., in the Cortex Innovation Community, which will be anchored by Microsoft. 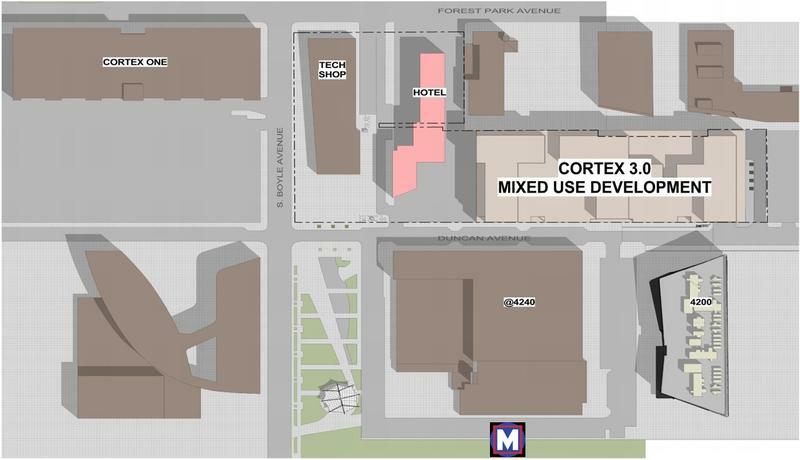 Microsoft is coming to the Cortex Innovation Community in St. Louis’ Central West End. The Washington state-based company will open its regional headquarters and a Microsoft Technology Center to serve as an anchor for a new tech building at 4220 Duncan Ave.
Microsoft district general manager Ervin Flores said the available talent in the region was a big factor in choosing St. Louis. “If you think about St. Louis, the universities that you have here and Cortex and the innovation that’s happening here, in our business, we’re in technology but really we’re in the people business,” Flores said. Microsoft is expected to invest $50 million in the facility and bring 150 jobs to the city. Sixty of those positions are moving from a local Microsoft office in Creve Coeur. The new jobs are part of Microsoft’s expansion of the St. Louis office to include a regional headquarters as well as a Microsoft Technology Center. Flores said the company has 40 technology centers around the world. The new building is being developed by Wexford Science + Technology and will be 150,000-180,000 square feet. Cortex chairman Hank Webber said about half that space is already leased, with Microsoft taking about 29,000 square feet. He said having Microsoft choose the St. Louis innovation district is a big show of confidence and likely will lead to more companies moving in. “It is national and international recognition from one of the great technology firms of the world that this is an important place to be,” Webber said. Microsoft expects to open the new technology center in the summer of 2018. Two major redevelopment projects in St. Louis’ midtown got approval from an aldermanic committee on Wednesday. City Foundry covers about 14 acres just east of IKEA. The Midtown Redevelopment, spearheaded by Saint Louis University, includes nearly 400 acres along Grand Avenue. The City Foundry is a being developed by Cortex and the Lawrence group in four phases that could cost up to $340 million. The plan includes food, retail, office space and apartments. The Cortex Innovation Community in St. Louis’ Central West End will undergo a major expansion over the next two years. Developers announced plans Thursday for the district’s first hotel which will include a restaurant, apartments with over 200 studio, one and two bedroom units, approximately 20,000 square feet of street level retail, a new technology and lab building and an innovation hall to be used as a meeting space. This article first appeared in the St. Louis Beacon: If the big question on the collective mind of the St. Louis entrepreneurial community is how to get there from here, then a co-founder of Mapquest.com would seem to be the perfect guy of whom to ask directions.